At the beginning of this month our blog post was dedicated to looking at the common milestones for babies between birth and their first year. Milestones are basically checkpoints that health care providers use to measure how a child is developing and whether they are staying on a path that is like other infants their age. Generally, they are broken down into three-month time periods with a rough guideline for where in the developmental process your child falls. The main categories these milestones cover are physical, mental, social and communication skills. You may wonder why how chiropractic fits into all of this. That is what this blog post will cover! More changes occur in the first year of life than any other point. From birth to 12 months an infant will increase in length by up to 50% and the brain doubles in size! Children have over 600 muscles in their bodies which will be developing slowly with time and as they learn new behaviors. As chiropractors we care about the ORDER children are learning things too. For instance, it is very important that children learn to crawl before they walk. 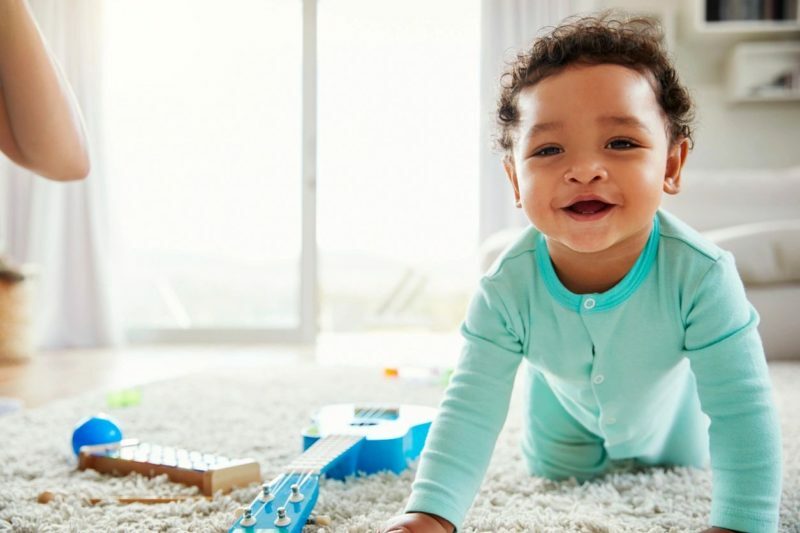 Crawling is one of the first activities a child will do that helps them to develop cross pattern stimulation in their brain, which is a foundation for many other movements. Let’s talk specifics about which areas of the spine are important when. In this critical time right after birth our first mission to check the upper cervical part of the spine, at the base of the skull. Being born can be tough. There is a lot of pressure that is necessary to push baby out of the birth canal. Everything from how baby was positioned in utero, to how well aligned Mom’s pelvis was, to how long the birth process takes plays a role in the force needed for that baby to be born. Some of the common symptoms that can be avoided by getting the upper neck adjusted if necessary, include, torticollis, colic, reflux, sleep issues and trouble latching. During this time baby is starting to develop some upper body strength during tummy time and will most likely begin to roll over. This is when it becomes more important to check the lower neck and the upper back, particularly between the shoulder blades. This part of the spine is tied to asthma, breathing issues and allergies. By this point your infant is most like rolling every which direction, beginning to sit up more easily, and maybe even crawling. All these movements require a lot more motion and strength in the lower back, which becomes more of a focus at this time. If we find spinal misalignments in this area it can be linked to issues with digestion and constipation. At this point it can be literally amazing to see the progress your baby has made. Within this time period (and it’s very different for each child) you will see dexterity increase, children are pulling themselves up, moving with more ease, walking and maybe even running! Learning to walk means a lot of falling down. It’s estimated that a child falls 5000 times when learning to walk. This is why we check the sacrum and tailbone often at this time. As chiropractors we are also supporting the full spine and continually checking for any patterns that don’t support full function. Muscular development and joint mobility is full evaluated. Throughout this whole process the chiropractic adjustments may change but they are always gentle, safe and effective. It is our goal to remove interference from your child’s nervous system so they can grow, heal and thrive living up to their fullest potential. If you have any questions or concerns with your child meeting any milestone reach out and get your child checked. We are always here to support you, your child, your family and help everyone to live connected.